This walk had great reviews when we first hosted it, so I thought we’d do it again. Rob the guide is great, hope you can make it! You may know Islington for its quirky bars and restaurants… take a step back in time and you’ll find its links to food go back to the Middle Ages. 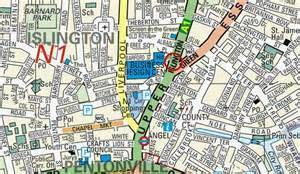 This walk looks at how Islington has kept London fed for the last 800 years. You’ll spend one and a half hour walking through one of London’s liveliest areas. You’ll hear about dishes like White Conduit Rolls, Islington Cheesecake and White Pot; Cream and Cake Boys, Nippies and Merry Milkmaids. You’ll even get to see the home of Webb’s Soda Water and Mad Frankie Frasers favourite café. And if you have no idea what I just said, at the very least you’ll find a few new hotspots to return to and enjoy a nice day out with fellow taste adventurers. If you like exploring London’s side streets or simply want to build up an appetite than join fellow Tastourians on the 9th February and get a taste of Islington. Rob has a strong interest in social history, and the way that inventions have changed people’s lives. On his walks you will hear stories of his London heroes and anecdotes that make history come to life. If you do not wish to purchase a pre-tour beverage, please aim to arrive closer to 11:30, as seating may be limited to customers of the cafe. What’s included: A Tastour exclusive guided walk, Commentary by a professional guide, arrangment of the lunch booking, but not the cost of lunch. This walk currently does not go inside buildings nor does it include any tasting samples. There is an option to buy goods on the first stop, and an option to join us for lunch after the tour. I really enjoyed this tour, it was very interesting and I now know more about my area. Thanks Rob! Very good company, it was nice meeting you all! This entry was posted in Events on 26 July, 2013 by adminfw.